This handcrafted pendant depicts the image of a humpback whale swimming freely underwater, it's silhouette just visible below the water’s surface. 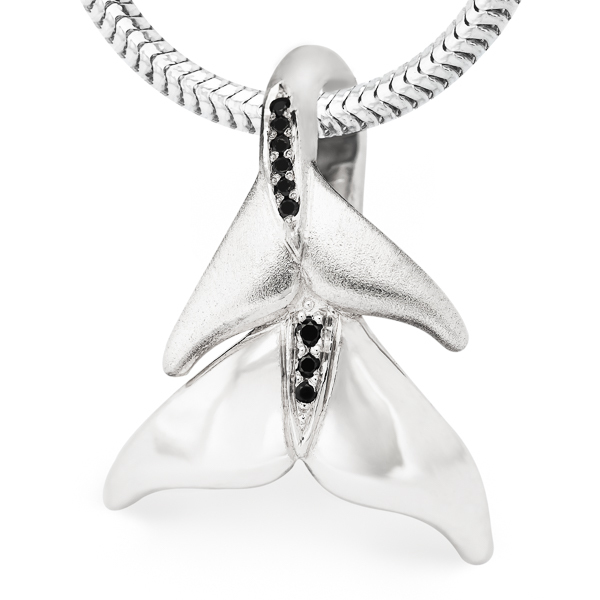 The whale dangles from a single flower, which represents the many humpback whales taken by whaling around the world. Available in sterling silver or 9 carat yellow gold (white gold and other metals available on request). 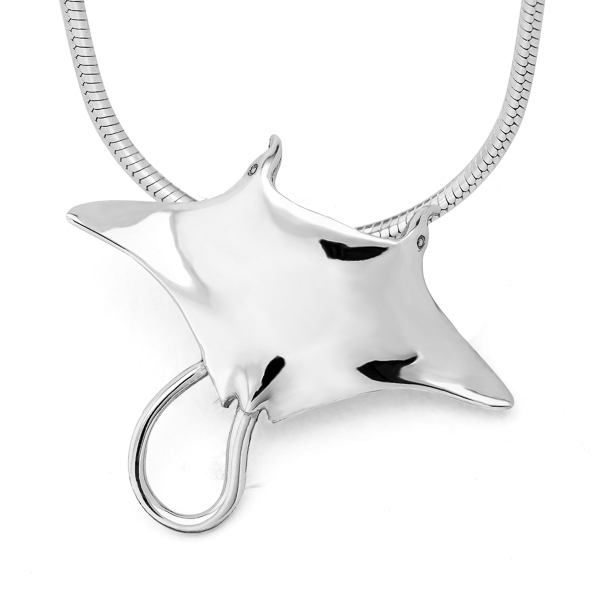 Silver pendant comes on a plaited black leather necklace in our signature World Treasure gift pouch. Gold pendant comes with a complimentary gold coloured silk cord as well as a World Treasure gift box and bag. Free shipping worldwide on all orders. 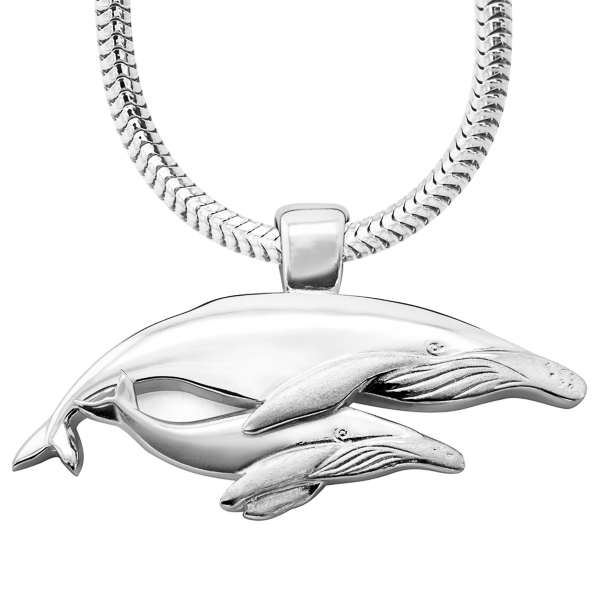 Necklace perfectly complements the Humpback Whale Silhouette Earrings from this collection.